If you're a pinner, then you've probably had this experience. If not, you've been lucky. Because at some point, this is going to happen to you, too. 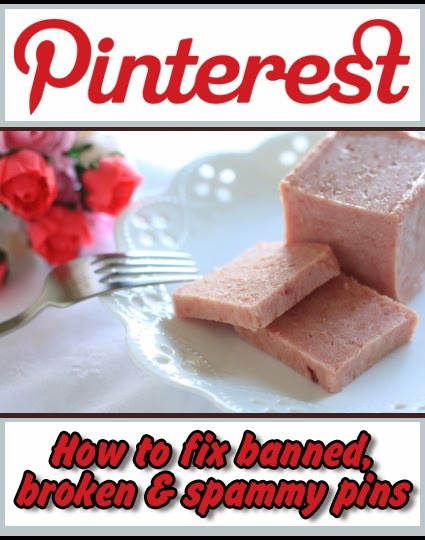 It's becoming a big problem on Pinterest--just like it is on the whole rest of the Internet. You've got a board full of cool pins. Crafting pins, let's say. And now you have some extra pocket money and a free morning to spend at the craft store. It's time to sit down with your pins and decide on something to make. Oo! There's that really cool little up-cycled eyeglass case turned sewing kit you pinned just last week. You click on the photo and navigate to the website in search of the step-by-step instructions and a list of materials. Yes, it's the dreaded blocked pin. 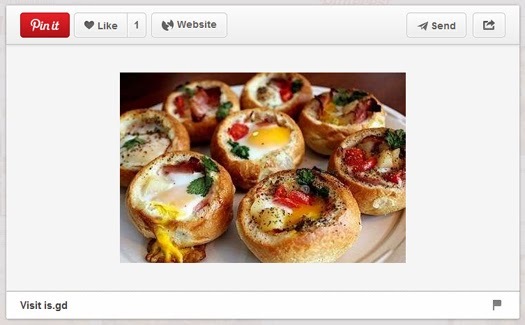 This is what you see when you clink on a spammy link on Pinterest. Usually, you will only see this message when you're particularly excited about making whatever the thing was that you pinned. Why does this happen? Well, spammers long ago figured out that they can hijack perfectly useful pins by simply replacing the original link's URL with their own. 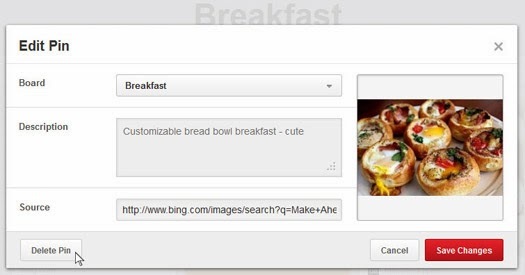 So they steal someone else's photo of a really cool looking craft or a yummy recipe, they attach their own spammy link to it and then they count on a lot of people pinning it without first checking out the link. That way, the link gets propagated all over Pinterest, and when all of us innocent pinners finally get around to checking it out it either goes somewhere horrifying or we get the above error message. Now, when you have this experience you probably just grieve a little and then move on to something else, thinking that pin is lost to your forever. Well, I've got good news--in most cases you can figure out where that link ought to take you. Right click on the image and "save as." Put it somewhere on your hard drive where you'll be able to easily find it. Now go to Google Images at images.google.com. Click on the little camera icon in the search box. 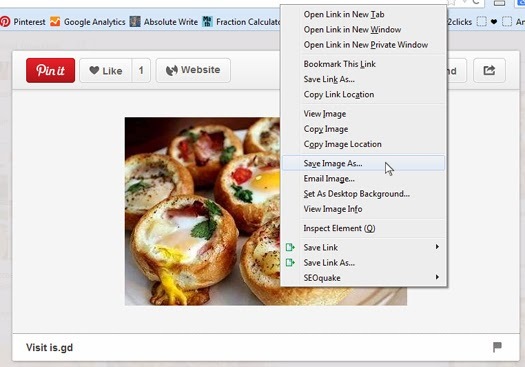 Now choose "upload an image, " then click "browse." 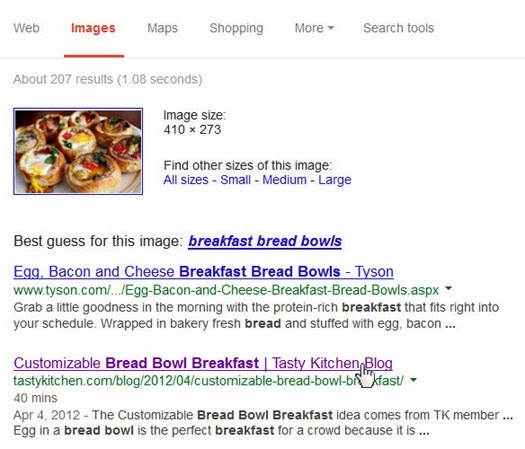 There will probably be a few potential hits in your search results, and not all of them will be correct. But if this image exists somewhere else on the internet Google should be able to find it. In this case, the correct link was the second one in the search results. Lots of websites and blogs already have a little "Pin it" icon. Just click on that. If they don't (I couldn't find one on this particular blog), you can use your browser's "pin it" button (you have to download and install it--Pinterest has a help page that will tell you how). Click on that button and follow the on-screen instructions to pin the correct link. Now click on "delete pin" in the bottom left corner. Done! Don't neglect that last couple of critical steps! 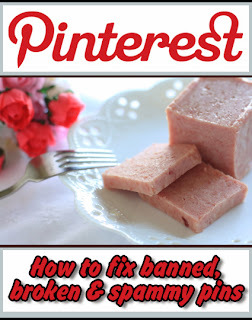 It is important that we purge all those spammy links from our beloved Pinterest. 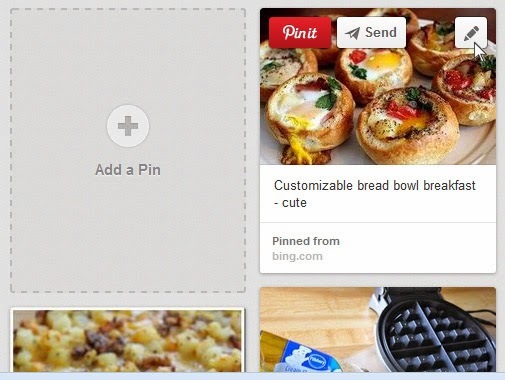 Think of it like picking up litter from the street--you're just making Pinterest a more beautiful place. And isn't that what we all want? That's a great tip! It really bugs me to have a wonderful pic go to some crummy site! Do you delete a pin that has hundreds of repins? I rebranded and now Pinterest is not redirecting to the new url. This has happened on several pins that have hundreds of repins. I changed the url on the original pin but how do I changed all those other links/pins that Google is crawling? ?